A criminal contempt case against Sami Al-Arian – a member of the Palestinian Islamic Jihad (PIJ)'s governing board during the 1990s – has been dismissed after a federal judge froze proceedings for five years. 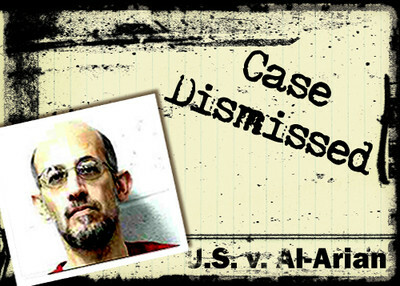 Al-Arian initially was on house-arrest, but U.S. District Judge Leonie Brinkema dramatically reduced the conditions imposed on him over time. He used that freedom to return to political activity, including his December attendance at pro-Muslim Brotherhood events, including one at Cannon Office Building on Capitol Hill. In moving to drop the case, prosecutors indicated they plan to enforce a deportation provision in a separate, 2006 plea agreement Al-Arian signed. The contempt case grew out of a 2006 grand jury subpoena issued while Al-Arian was finishing a 57-month sentence for conspiring to provide goods or services to the PIJ, a designated terrorist group. Prosecutors wanted to ask him about possible terror support by a Northern Virginia think-tank which helped fund a similar venture Al-Arian ran in Tampa. He refused, insisting that his plea agreement ruled out what he called "cooperation" with the government. It's a claim his attorney, Jonathan Turley, repeated Friday in announcing that the contempt charges were dropped. But it is a claim nobody, including Al-Arian and Turley, has been able to substantiate. They never produced any record to indicate that prosecutors agreed to binding a grand jury in another jurisdiction, something which a federal judge said was so extraordinary he had never heard of the idea. There is no language about it in the plea agreement and Al-Arian made no mention of it when he entered the plea before a U.S. Magistrate and later was sentenced by a federal judge. "The Court has never heard of the Government agreeing that someone would forever be protected from grand jury subpoena," wrote U.S. District Judge James Moody. "It is incredible that such a novel provision would not be placed in the written agreement in clear and specific terms." The 4th Circuit Court of Appeals rejected his argument about the plea deal when Al-Arian was found in civil contempt. The 11th Circuit issued a similar opinion in 2008. But Brinkema, who already had voiced skepticism about the contempt case, seemed determined not to let it go to trial. She refused to rule on pending motions to either dismiss the case or set a trial date. She twice promised in writing to deliver rulings that were never produced. In announcing the case's end, Turley also posted a statement from the Al-Arian family, saying they have had "a long and difficult 11 years ... in what has ultimately been shown to be a political case. We are relieved that this ordeal finally appears to be at an end. We hope that today's events bring to a conclusion the government's pursuit of Dr. Al-Arian and that he can finally be able to resume his life with his family in freedom." It is unclear where officials might try to send Al-Arian, or how long it will take to make arrangements. Al-Arian is a stateless Palestinian with a felony conviction for terror support, and unless the government has already arranged his deportation, that process could be complex and lengthy.